Rianne Schoonderbeek: I work as a Curator of Education at Museum Boijmans Van Beuningen, meaning I offer the audience guidance during their museum visit, using signage, floor plans, exhibition texts, videos, multimedia and audio tours, interactive spaces, games etc. RS: I mainly work with artists, curators, project managers, marketeers, translators, designers, printers, video makers and media companies. RS: Anything that helps people get involved with art, ranging from texts to guided tours, from audiotours to video’s, from lectures to interactive studios in exhibitions, and from in house workshops to museum lessons in schools. Art education can turn the wall into a table: we can all take a seat at the table, place a work of art on it and have a discussion. Also, we shouldn’t underestimate the role that hospitality plays in education. By making sure people feel comfortable in a museum and around art, you create fertile soil on which thoughts and imagination can grow. RS: Both art and education for me stand for a never ending curiosity about life. A wish to keep exploring, pushing boundaries and changing perspectives. A realisation that truth is mobile. RS: Although many people are perfectly happy to look at art without any type of mediation, there’s a large group of people that needs or appreciates a bit of extra information, some extra incentive, to connect to art in a way that is meaningful to them. Because of social, cultural or personal reasons some people might feel art is boring or “not for them.” Or some people might simply not be captivated by a work of art at first sight, and are inclined to just pass it by and walk on. By mediating art (I actually don’t like the term ‘educating’ that much), it can be made more approachable, it can come to life and it can trigger a relevant and inspiring experience for a broader audience. RS: These areas often overlap. In the end both art educators and curators want to make art accessible to an audience, to facilitate an interaction between art and people. We both want to make sure someone “sees the tree in the forest fall.” As a Curator of Education I hope to function as a bridge between curator and audience, making sure that the story we want to tell resonates with a broad (non-expert) audience. RS: Art mediation should be at the core of any museum. Museums are not merely buildings in which art can be experienced in tranquility and solitude, they’re also social spaces, places to connect. In my eyes, simply hanging art on the wall is not enough, we need to connect to the audience, connect to life. RS: Is this a trick question??? I do believe many institutions, such as museums and schools, provide these opportunities. However, what might be more interesting is the changing role of institutions. I feel the focus will shift more and more to certain projects and channels providing such opportunities instead of institutions. Social interaction, in my view, is rapidly becoming less institutionalized and increasingly takes place in connection to specific projects and via social media. RS: Art mediation doesn’t mean telling people what to think, it can be used to activate the viewer. It can stimulate people to ask questions, to look more closely, to reflect, to get creative themselves, or to start a discussion. RS: With art mediation I would ideally like to inform, activate, empower and inspire people. I feel the biggest challenge for museums is to let art speak to a broad audience, varying from experts to people that think art is boring or “not for them,” from families to solo-visitors and from a 60-year old couple to a group of 16-year olds visiting with school. Using various forms of mediation can help with this. Ideally, in a world with unlimited funds and time, I would create custom-made art mediation based on each individual’s specific interests and needs, trying to find ways to connect to as many people as possible. RS: I wasn’t personally involved, but the Education department at Museum Boijmans Van Beuningen has developed a great program called the “Boijmans Language and Maths Programme,” which links language and math to art education. While working with art, the kids practice their language and math skills without even realizing it. It’s a great example of how art education can enrich school programs. And although it’s not a method or strategy, I am very content with the ‘ask anything’ option on our collection website: people can always ask us a question and we always answer. RS: Besides writing and editing texts for various exhibitions and filling our collection website with content, I’m now working on an online surrealist game, a location based audio tour and an app for our Print Room (disclosing its many treasures to a larger audience). As part of the upcoming exhibition of Fra Bartolommeo (opening October 15, 2016) I’m working on a small, simple interactive experience (comparing preparatory drawings to the fresco end result), I’m producing some audio recordings of quotes by Vasari, and my colleagues are preparing an artist studio within the exhibition (in which a contemporary artist from Rotterdam will make a large altar piece together with the audience, following in the footsteps of Fra Bartolommeo). I’m also involved into the preparation for our new collection building (opening in 2019), and which will be the world’s first art storage facility that is fully accessible to the public. As for the preparations of the Collection Building, I’m mostly just thinking about possibilities when it comes to wayfinding and the way we want to communicate our stories to the audience in such a building. So, thinking about audio and multimedia tours, how to use new media and our online collection, how to use narratives and characters to captivate the visitor, and how to guide them through the building in general. Which books, projects etc. were / are important for your work – and why? RS: The first book that comes to mind is “The Participatory Museum” by Nina Simon, which has been important in the discussion about art mediation in general. Besides that a few projects that I find inspirational are the new audio tour at SF MoMA and the new “Museum of Tomorrow” in Rio de Janeiro. I am also a great fan of “We Are Public,” a community of which you can become a member, giving you free access to a very broad cultural program in Amsterdam (dance, opera, music, lectures, art, theatre, movies etc.). In Museum Boijmans Van Beuningen a break through moment for me was when we placed two studios inside the exhibition “Hand Made,” in which craftsmen were continuously presenting their skills. While they were working, people could come in, watch, or ask questions. 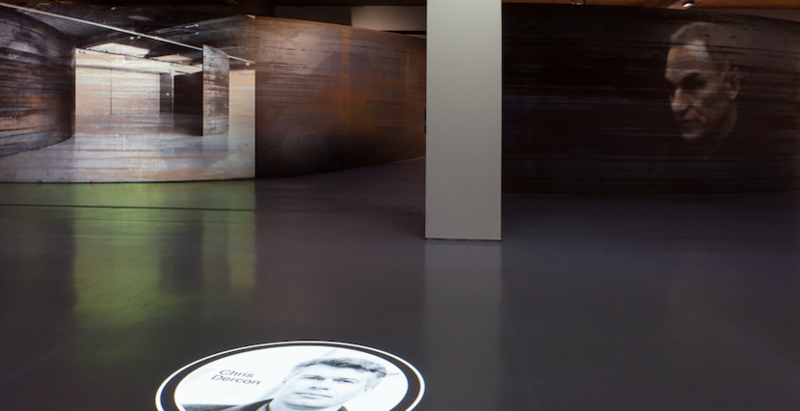 This brought the exhibition to life and showed us what the impact of interactive spaces within an exhibition can be. After this, I feel everyone was more open to this idea, resulting for example in three interactive studios in our Brancusi, Rosso and Man Ray exhibition, in which visitors could experience for themselves what the connection between photography and sculpture was for these three artists: they could edit photographs, play with sculptures, lighting and background, and make their own rayographs in a dark room. By following in the footsteps of the artists and getting actively involved, alternating texts and videos with active learning, people got a more thorough understanding of the practice of the artists, and they had fun while doing so! Another great project was Richard Serra – In Constant Motion, in which sound, light, and 52 projectors, were used to bring the story of Serra’s Waxing Arcs to life. RS: What project are you most proud of and why? RS: At the center of each public art institution, and as an intrinsic part of school programs. Rianne Schoonderbeek works as a Curator of Education at Museum Boijmans Van Beuningen in Rotterdam, the Netherlands. Previously she worked as a co-curator and project manager at the Groninger Museum and the Nederlands Fotomuseum. She holds a master’s degree in both Art History and Arts, Culture and Media, both from the University of Groningen. Rianne currently lives in Amsterdam.